Kitchen Splash Back, that looks amazing! 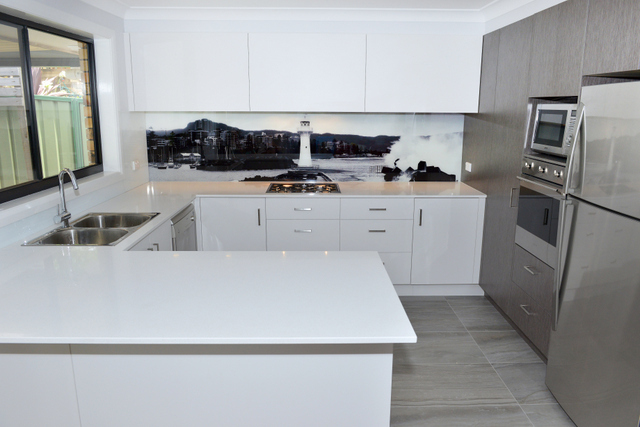 Earlier in the year I sold an image of Wollongong harbour to a customer who was wanting to use it in their new kitchen as a splash back. I thought it was a great idea and they were nice enough to allow me to come back and get some photos of the finished job. As you can see the black and white photograph suits the kitchen perfectly. I thought it was amazing. If you have any enquires feel free to email me : brad@chilby.com.au or click on the photo to the right which will take you to the contact us page. On the 11th December a bush fire broke out near the freeway at Maddens Plains. It quickly headed eastward towards the edge of the escarpment at Coledale. The big guns were brought out to combat the fire with the enormous Southern Belle DC-10 air tanker which you can see in the photograph to the right. 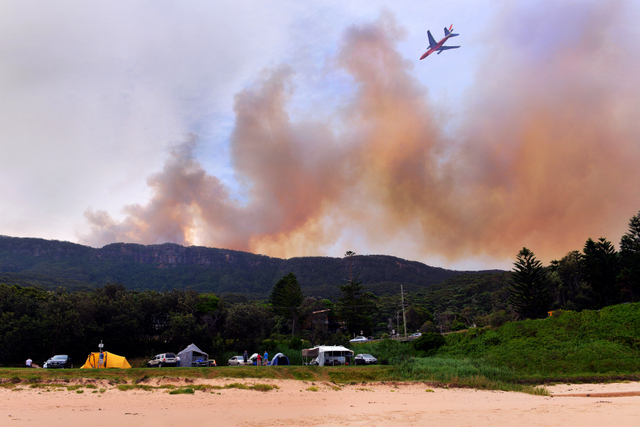 The pilots were incredible flying in very low and making numerous water drops over the fire front. The Southern Belle was assisted by numerous other fire fighting planes and helicopters including the Elvis chopper. It was an incredible sight to watch. This shot was captured from Coledale beach. 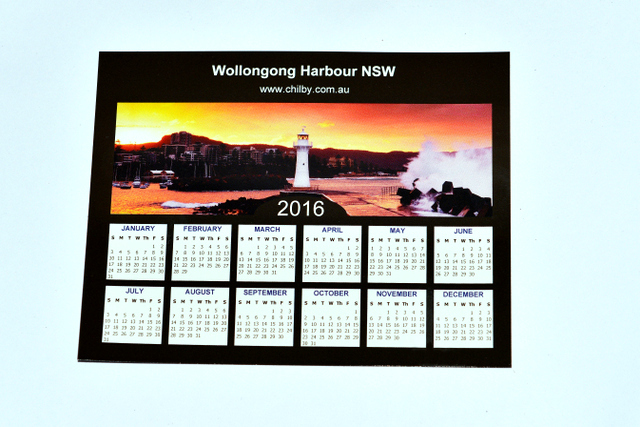 Get your magnetic 2016 Illawarra fridge Calendar for just $3.00 with FREE postage Australia Wide. 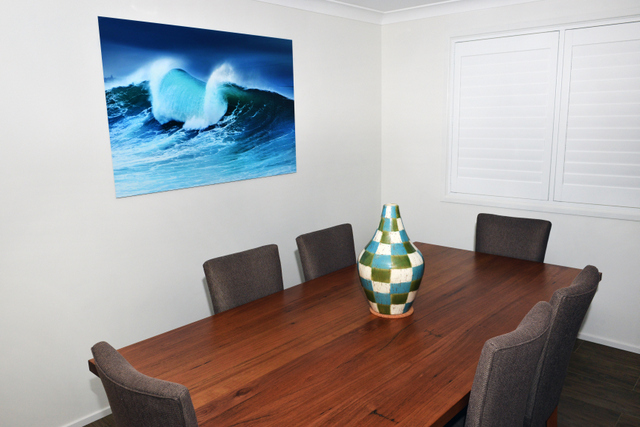 It has a photo on it of Wollongong Harbour at sunset and you can purchase yours by clicking on the photo to the right. New Illawarra themed Christmas Cards! 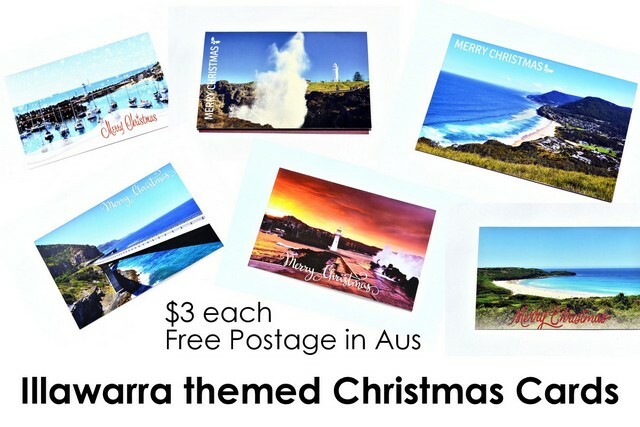 Just launched - New Illawarra Themed Christmas Cards with 6 designs including Wollongong Harbour, Kiama Blowhole, Bald Hill, Stanwell Tops, Killalea Beach, The Old Wollongong Lighthouse and Sea Cliff Bridge. They are $3.00 each with FREE postage Australia wide. Limited Stock available, if you would like to purchase one please click on the photo to the right. New Aerial Photos of the Illawarra! I have just completed a couple more aerial photo shoots of the Illawarra region with many more new photos of Wollongong, Shellharbour and Lake Illawarra. 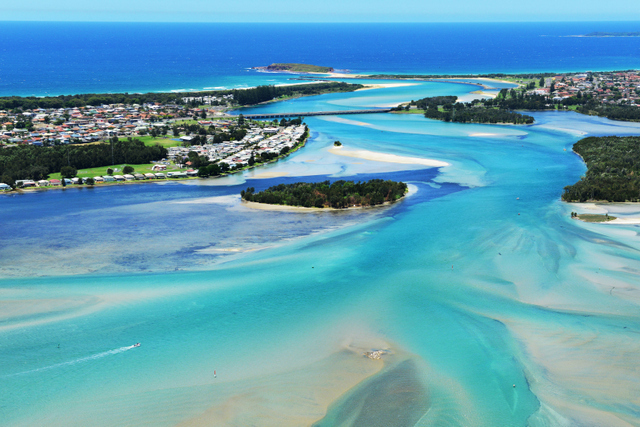 The photo to the right is an aerial photo of Lake Illawarra on a beautiful Spring day. In the distance you can see the mouth of the Lake and Windang Island. If you click on it, it will take you to the Illawarra Aerial Photography gallery and while you are there check out all the new shots. After a steep climb to the base of a waterfall I bumped into some professional abseilers who were kind enough to show me the ropes of abseiling and also the very quick and sheer way to the bottom of this waterfall. It was a great experience and certainly something I could use on my endeavors to capture remote, unique and secluded locations. If you click on the photo to the rightt it will take you to a gallery of all the behind the scenes shots that are taken along the way. 2016 Illawarra Calendar OUT NOW!!!!! 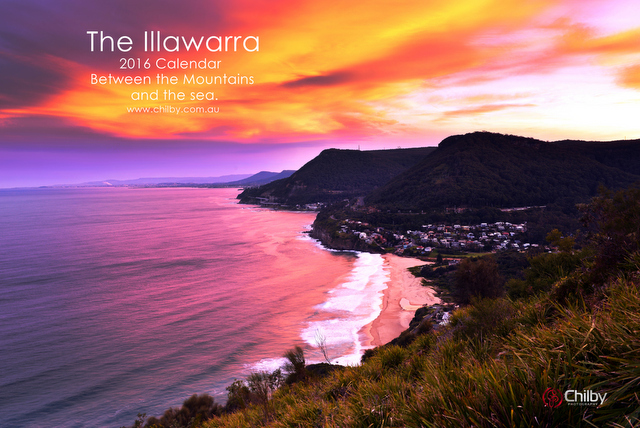 I am very excited to announce that the new 2016 Illawarra Landscape Photography A4 wirebound calendars are now out! Get in early and order yours while stock lasts. As always you will find photos from across the Northern Illawarra, Wollongong, Shellharbour and Kiama area with a variety of shots that represent everything that the Illawarra region is about from the escarpment, stunning beaches, rainforest, waterfalls, the rolling green hills of the south and the city itself. I hope you like it! Click on the photo to the right to purchase yours. They are $15.00 each. FREE Postage Australia wide. 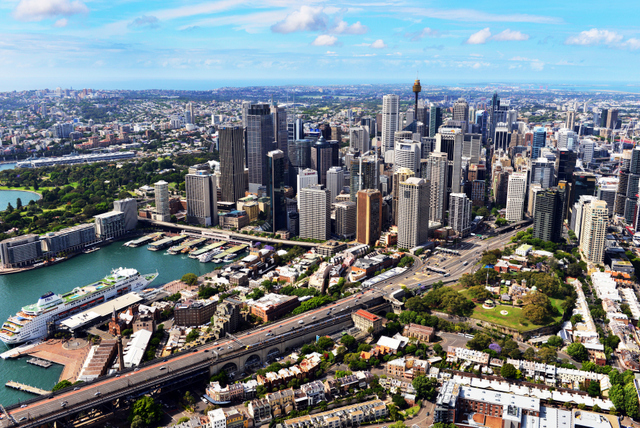 An Aerial Photography shoot of Sydney Australia! I recently had the opportunity to take in the amazing views of Sydney Australia from a helicopter whilst doing an aerial shoot of the city. It's quite an incredible flight with spectacular views of the CBD, Centre Point Tower, Sydney Harbour Bridge, Sydney Opera House, the Harbour, Bondi, Coogee and Bronte beach plus more. 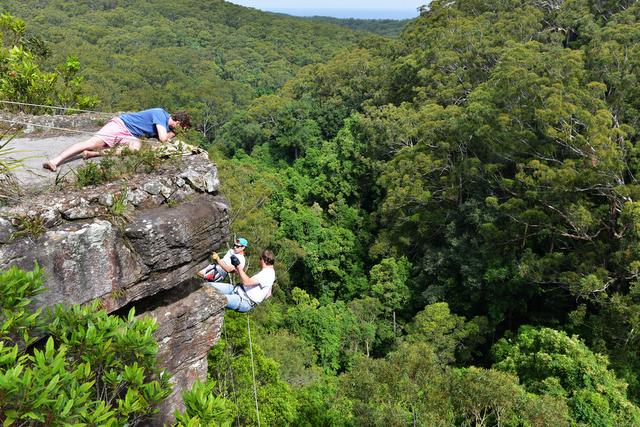 It was a very good shoot and I hope to get back up to Sydney and take some more photos from the air soon. If you click on the photo to the right it will take you to the Sydney Aerial Photography Gallery where I have started to upload the photos. There will be more to come soon. New photos added to the Southern Highlands gallery. 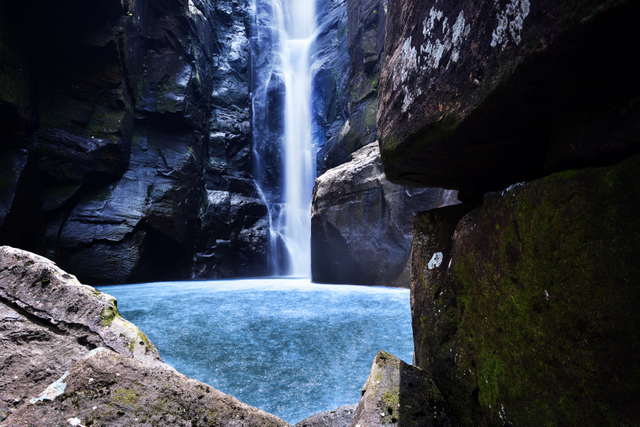 I have recently added new photos to the Southern Highlands gallery after many recent treks to some of the most amazing waterfalls in Australia. 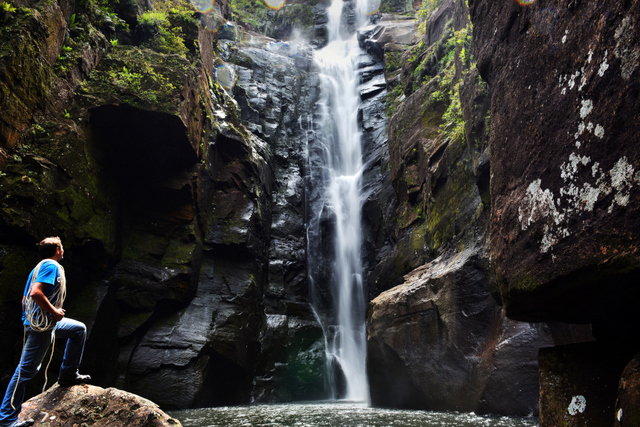 Southern Highlands is the waterfall capital of the country with a large number of spectacular waterfalls. See some of them by clicking on the photo to the right, which will open up the Southern Highlands gallery. Visit the behind the scenes gallery! Visit the behind the scenes gallery by clicking on the photo to the right. 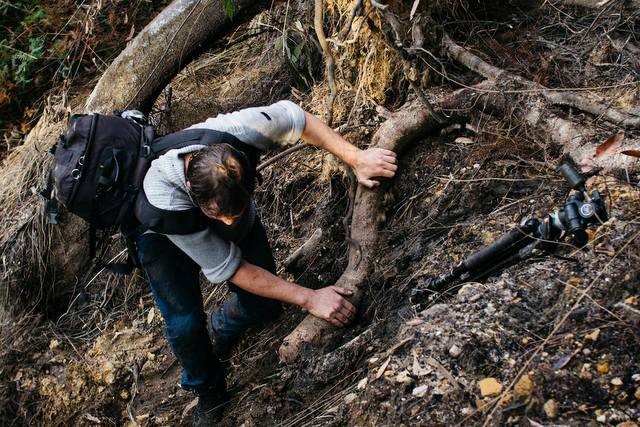 Take a look at some of our latest adventures and the effort, hikes and climbs that go into the photos at Chilby Photography. The photo you can see here is Carrington Falls. Recently I installed a 60x40 Inch metal print for a customer and as always the metal print format looks amazing! It's a top quality Australian Made product that comes extremely well packaged and is easy to install and to maintain. It's a great talking piece for any home and you can order them direct from my website. Come on a behind the scenes journey with Chilby Photography and take a look at some of the amazing places that photography takes me and experience some of the incredible adventures along the way from hikes in the Snowy Mountains, Tasmania and the New Zealand Alps to coastal photography at home in the Illawarra. If you click on the photo to the right it will take you to the behind the scenes gallery. In mid Spring I headed for the Snowy Mountains and went on a 36 km hike into some of the best alpine wilderness in Australia. The snow was still surprisingly deep at about 2 metres and shortly after leaving a cold front moved in dropping the temperature below zero. 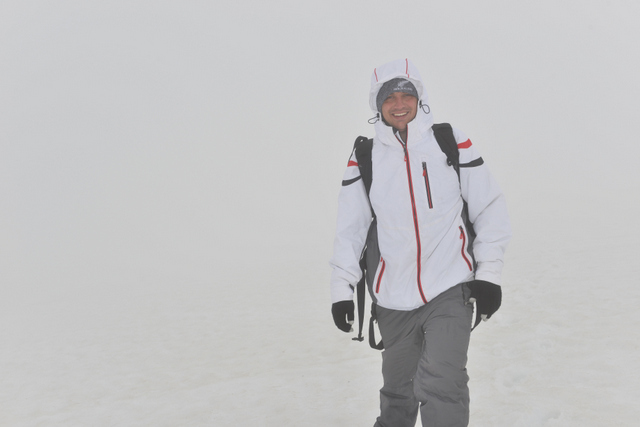 We hiked much of the way through a white out which reduced the photo opportunities but made for a great adventure. The trek was through snow, ice and rain and my snow gear kept me dry for half of the trek, after that my hands became blue and I was freezing cold all over. To add to the uncomfortable conditions whilst trying to cross an ice shelf above Lake Albina I wedged my tripod into the snow, but it came loose and slid down the mountain side for 300 metres finally landing upside down in the snow, after a steep climb I retrieved it and it was still in tact. 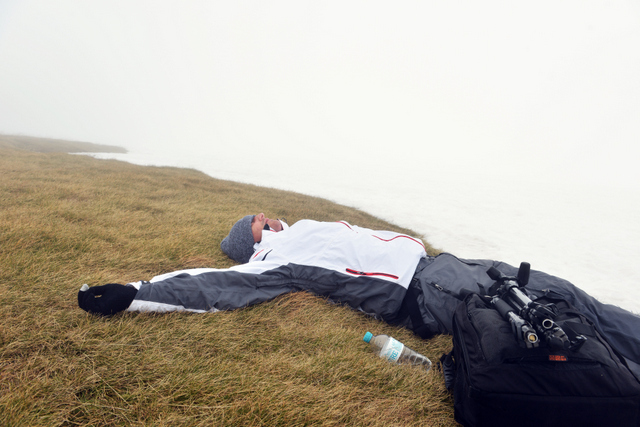 It was an uncomfortable trek but a great and memorable adventure. Click on the photo to the right to view some of the photos from the trip. 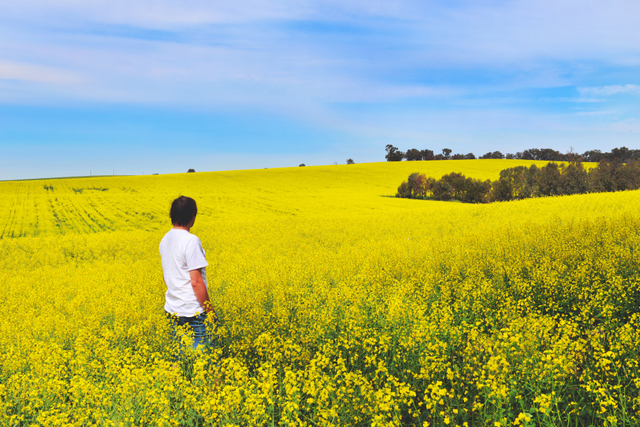 In early October I headed west for Cowra and the Yass Valley to capture the beauty of the rolling hills painted yellow with Canola flowers that bloom from Mid September to early October. This is a trip I have planned each year for many years but something always comes up and I have had to cancel it. I made this year be just for one day, I headed out at 3.30am for the west and spent most of the day traveling around the Central Tablelands and taking in this incredible sight. I have added some of these photos to my Country New South Wales gallery. Click on the photo to the right to check them out! New release photograph of the Wollongong CBD! This new release photograph is something a little different than what I normally take in the Wollongong area but I wanted to creatively capture the heart of the city after the make over that has happened over the past 18 months. 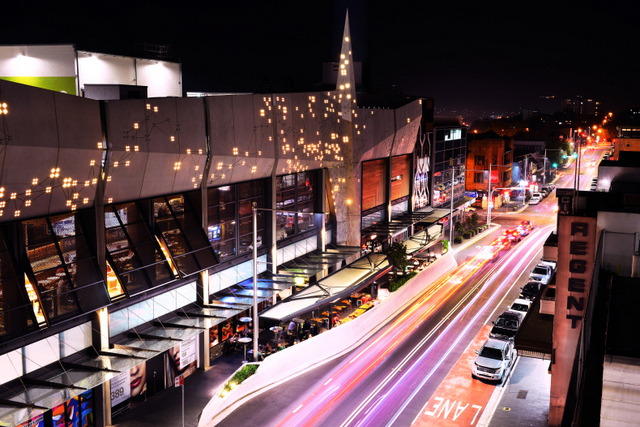 To the left of this shot you can see the new modern Wollongong Central and to the right is the iconic Regent Theatre on Keira Street, along further on the corner of Market Street is the historic Illawarra Hotel building. If you would like to purchase this image please click on the photo to the right. 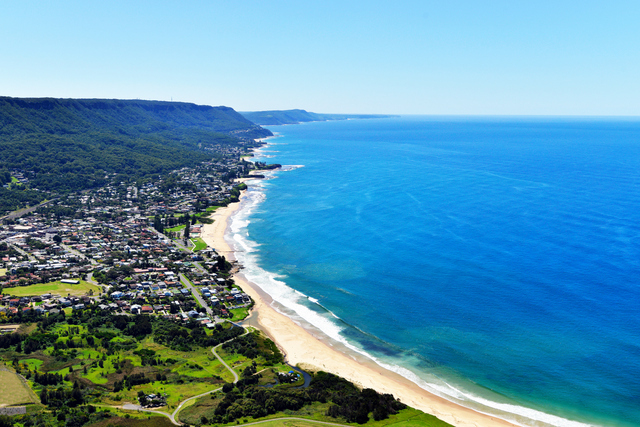 33 things you only know if you grew up in Wollongong! A Chilby Photography photo appeared on the latest Buzz Feed article about Wollongong. It states 33 things you only know if you grew up in Wollongong. I grew up in Wollongong I can say that some of these are true and a few not so much, but see for yourself by clicking on the photo to the right to open the article. Do you want a professional photo of your pet? Apart from Landscape Photography Chilby Photography also is available to hire for Location Portraits, Pet Photography, Commercial Photography, Event Photography and Wedding Photography. Location Portrait and Pet Photography prices start from $100.00 for a basic 1 hour package with all images edited and supplied to you on a disc. In this photo to the right you can see Max the dog from Wollongong captured on North Wollongong beach with Wollongong Lighthouse and Harbour in the background. 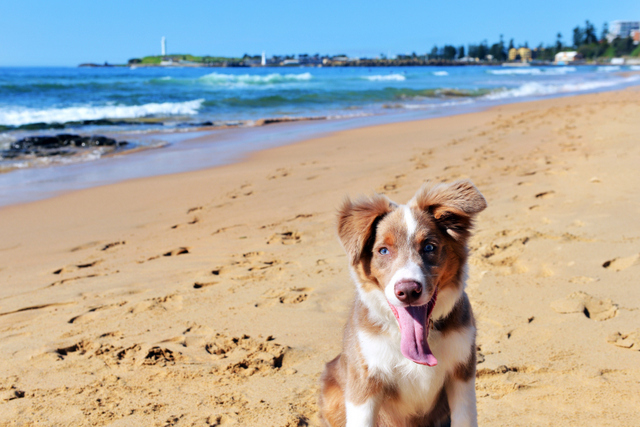 To book Chilby Photography to capture your pet or family at a beautiful location, Click HERE. When taking photographs it gives me a real buzz to adventure and explore new areas that few other people have visited, I tend to travel in remote areas and climb to the base of waterfalls to bring you my photos. On this occasion whilst out hiking off the track in a remote area by myself I heard two people talking, unbelievably out in the thick forest I teamed up with two Matt's from Nowra and we hiked to the bottom of a giant waterfall. It is one of the hardest hikes I've done in a long while and we returned exhausted, scratched, bruised, drenched and covered in mud, just on dark. But the adventure was well worth it and we are ready to tackle this trek again. Click on the photo to the right to see more and Click HERE to see more behind the scene photographs. Photo Credit: Voodoo Visions, Nowra. 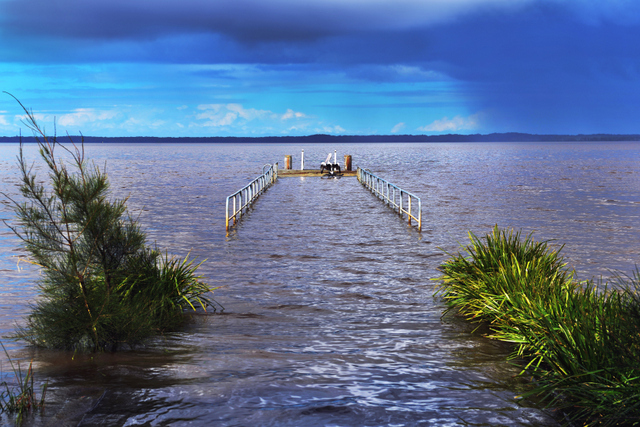 Flooding across the Shoalhaven region, August 2015. On the 24th of August 2015 the Illawarra region had significant rainfalls that produced flooding at Bulli, Tongarra, Jerrara Dam and Jamberoo but on the 26th of August I ventured down to the Shoalhaven area and the rain and flooding was much worse. The Shoalhaven river broke it's banks as did St Georges Basin and Lake Conjola. The area from Berry to Bomederry was like a massive lake and I took this photograph of St Georges Basin jetty a little further south, under water as you can see to the right with a pelican drying his wings. I'll have some more photos of the flooding up shortly. In the meantime click on the photo to the right to see this part of the world during nicer weather. Chilby Photography Photo in the Sydney Daily Telegraph. 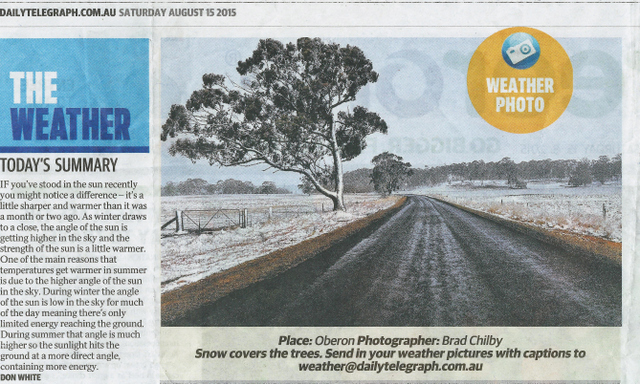 On the 15th of August 2015 I had one of my photos of the Oberon area published in the Daily Telegraph. The photograph was taken near Oberon in the NSW Central Tablelands during a July cold snap that dumped snow across the Oberon region and across much of the state. It is always great to see a photograph published in the newspaper and if you would like to see some of the others, please click on the photo to the right.